British rock icon and environmentalist Sting, has insist the organizers to move the venue of his concert at the SM Mall of Asia Arena to Smart Araneta Coliseum. 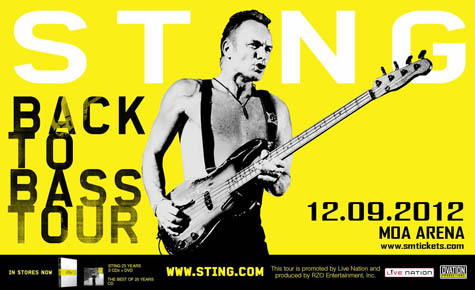 His “Back to Bass Tour” will be held on December 9. The local concert promoters had informed the officials of MOA Arena that the singer had called off his show there, Arena general manager Arnel Gonzales said. After he learned that the pine trees growing outside SM Baguio, is also owned by the same holding company that owns the MOA Arena, were being removed for an expansion program, Gonzales added. “Somebody misled the Englishman In New York over the venue,” Gonzales said. He also said that even though Arena and SM Baguio are sister companies, the concert venue had nothing to do with the trees’ transfer. “It’s something that we did not expect,” Gonzales said of the cancellation of the Arena concert. Sting founded the Rainforest Foundation in 1989 with wife Trudie Styler. According to a statement issued earlier, SM MOA Arena said that British singer was influenced by a letter sent to his agents by former lawyer of Project Save 182 Cheryl Daytec-Yangot. “With this letter to Sting, it seems that the activists behind Project Save 182 are bent on taking down the SM brand in general,” the SM MOA Arena said in an accompanying press release. 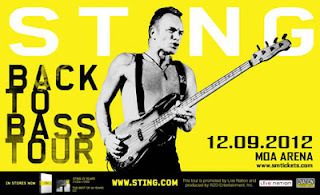 According to Sting’s website, ticket holders of the MOA Arena show can exchange it for the new venue starting this coming Thursday, October 25 at a special window at the Ticketnet Office located at the Smart Araneta Coliseum. “Reserved seat tickets have been carefully reassigned so that fans that had a reserved ticket at the MOAA will receive a comparable reserved ticket in the new venue,” the website said. For those who wish to refund their tickets must do so at SM Tickets no later than Sunday, November 18. I admire Sting for his advocacy to the environment. If Sting was influenced by the cause of those saving the trees then he really cares for the environment. Some artist wouldn't even care. Well written! Thanks for sharing and I like Sting too! It's nice to see someone actually stick to there principles for once.